QICS's founders have more than 15 years of cumulative experience in the language services and hospitality industry from their success in operations of medium sized IT-enabled enterprises in India and in Thailand. We turned it into our strengths and know well how important it is to complete tasks accurately in a timely manner and this becomes a norm for our service. QICS is team of professionals. 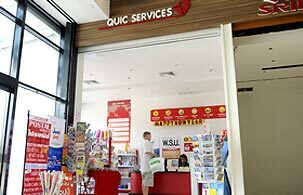 All QICS consultants are highly skilled and well trained to ensure the documentation and other services are professionally delivered to our clients. Translation services Thai to other languages and other languages to Thai and also other varied language pairs.